I decided to create a design similar to Ripples in a Pond from last week. 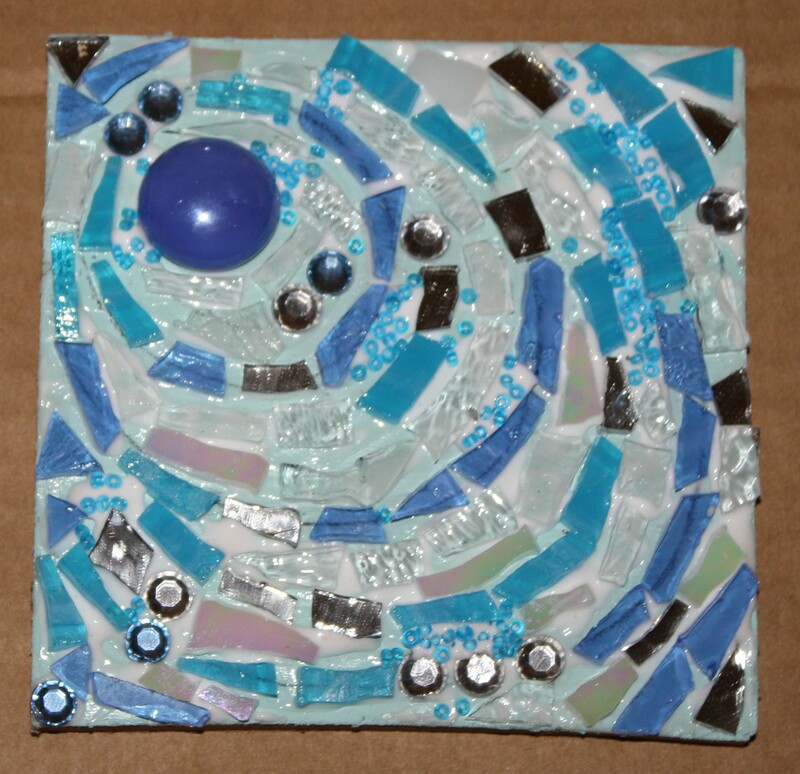 I grouted last week’s mosaic with white grout and I wanted to do it again with dark blue grout. I found this pretty turquoise glass and used it with the blue.